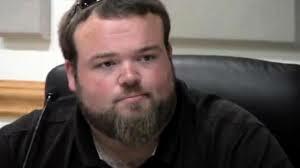 Chair Luke Eggers has tendered his resignation from the Watauga County Board of Elections, effective today. Everyone knew this would have to happen after his aunt, Becca Eggers, was appointed to a local judgeship. It's finally happened, one day in advance of the filing period for the 2016 elections. Now taking bets on which hardliner Anne Marie Yates & Team will appoint in his place. He will be hard to replace. Luke did a great job standing up to Kathleen Campbell. Thank you Luke for your contributions to a better Watauga County. You will be missed but your service to the citizens of this county is appreciated. Yeah, Luke, you were an amazingly willing puppet for your big brother. Amazing work all right! The only chair of the Watauga Board of Elections in history to get reprimanded for unconstitutional behavior by a North Carolina judge. Badge of honor, eh? The damage he did to a fair, open, and transparent election process is incalculable. It takes years to rebuild the kind of trust that he destroyed. Yes, such a tragedy that we lose one of the rocket scientists who thought locating early voting sites at the center of "five geographically concentric circles" drawn on a map -- without taking into account population centers, public transportation, or even simple geography -- was a great idea. Not holding my breath for a more fair-minded replacement, though. More likely, another current or former partisan party hack, much like the new director. Gotta change the Governor. Go vote, folks.